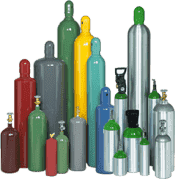 Welders Supply Company supplies a full array of Industrial, Beverage, Medical, Specialty Gases in Cylinder, Micro-Bulk and Bulk Modes. We Supply PURE GASES, MIXED GASES and their distribution systems, mixing systems and telemetry tank monitoring. 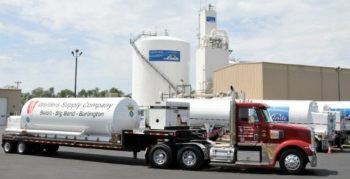 Complete solutions for: Laser Assist Gases, Food Packaging, Beverage Carbonization, Welding & Cutting, Fork Truck Propane, Cryogenic Freezing, Pressure Testing, Helium leak testing, Blanketing and purging, Heat Treating, Medical gases, Biological storage, Gas Chromatography, Aluminum Degassing, ICP/ICP-MS, MBE, EPA Protocol. Contact Welders Supply Company for all of your all of your Gas Requirements. Milwaukee, Wauwatosa, Cudahy, Brown Deer, and surrounding areas will be serviced by our Big Bend location. Madison, Sun Prairie, Waunakee, and surrounding areas will be serviced by either our Big Bend or Beloit locations. 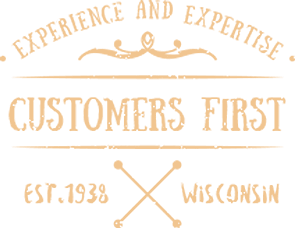 Waukesha, Oconomowoc, Sussex, and surrounding areas will be serviced by our Big Bend location. Racine, Mount Pleasant, Burlington and surrounding areas will be serviced by our Burlington location. Kenosha, Pleasant Prairie, and surrounding locations will be serviced by our Burlington location. Janesville, Beloit, and surrounding areas will be serviced by our Beloit location. West Bend, Germantown, Hartford, and surrounding areas will be serviced by our Big Bend location. Mequon, Port Washington, and surrounding areas will be serviced by our Big Bend location. Whitewater, Burlington, Mukwonago, and surrounding areas will be serviced by our Beloit location. Monroe and surrounding areas will be serviced by our Beloit location. Waukegan, Lake Forest, Zion, and surrounding areas will be serviced by either our Burlington or Rockford locations. Crystal Lake, Lake in the Hills, Algonquin, and surrounding areas will be serviced by either our Rockford or Burlington locations. Rockford, South Beloit, Loves Park, and surrounding areas will be serviced by either our Rockford or Beloit locations. DeKalb Township, Sycamore, and surrounding areas will be serviced by our Rockford location. Belvidere and surrounding areas will be serviced by our Rockford location. Flagg Township and surrounding areas will be serviced by our Rockford location. Freeport and surrounding areas will be serviced by either our Rockford or Beloit locations.